Samantha (Sam) Moore has lived in different foster homes and then a group home most of her life. At age 23, she’s trying to get on her feet and make her life normal. When she gets fired from her job, she ends up moving back into her group home, where she can live until she’s 25, as long as she’s in school. Sam is always, always hiding behind the words of characters, mostly from writers such as Austen, Dickens, and others like them. She quotes them almost constantly, choosing the different characters to hide her true feelings behind. The one thing that makes it possible for Sam to go back to school is that an anonymous benefactor who goes by the name of Mr. Knightley offers Sam the money she needs to go to a prestigious school to learn journalism. There’s only one small catch, Sam has to write him frequent letters that are honest. He will never answer her letters and opens an office box she never has to know who he is. Honesty is isn’t something she’s good at. Writing is though, so she accepts. *Practically everyone in the writing business who I asked advice from told me to read the classics. So I did. Most of them I didn’t enjoy at all. Out of all Jane Austen books, the only male hero I actually liked was Mr. Knightley. And not only did I like Mr. Knightley, I really liked him. 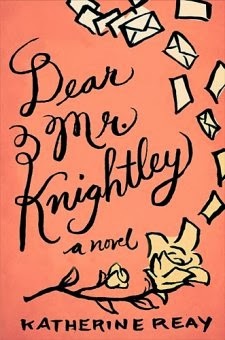 And the book is called Dear Mr. Knightly. That’s got to mean something, right? *The whole book (except for the tiniest bit) is Sam writing letters to an anonymous person who doesn’t write back. That right there is mighty intriguing. *Sam seemed like such an easily relatable character. Now that I’ve actually read the book, where do I begin? I adored this book (mostly). I read it in less than 24 hours and didn’t want to put it down at night to go to sleep. *Sam has an amazing voice. And I’m talking about the way she writes, not her vocal cords kind of voice. It’s so easy to get sucked right into what she’s saying. I didn’t always understand why she did the things she did, but I could sympathize with her. *The premise of the book was overwhelming. Sam writing letters? As I’ve mentioned before, it drew my imagination right away, since Mr. Knightly had agreed not to write back. *I really, really like character-development. I’m a character driven reader, and that’s what this book was geared toward. Sam went from having a victim mentality (everyone’s out to get me and they are so mean) to “This is the life I’ve been given and it’s up to me to make the most of it” which was great! Sam also went from always having her nose buried in a book (as her friend says “Sam, you don’t really see. Outside of your books, you only exist. You need to start living.”), to purposely trying to figure out what’s going on around her. *The other characters. Let’s start with Father John. Amazing man, much? He was the director of the home Sam lived in and had a deep faith in God, although it’s not talked about much. He was heart-warming. Then Kyle. Talk about a grand enterence. Sam’s intro for him in her letters went something like this: “I hate Kyle. Actually, Kyle makes me hate myself, which is worse to me.” It shows how selfish she is at the beginning, which she soon realizes. The transformation that takes place between them left me in tears at times. Kyle was the kind of kid that makes me want to hug him, growl at him and love him to pieces while trying to not get too angry with him. I have to skip over some of the characters I really liked, but I’m going to say just a few more: Professor and Mrs. Muir. I fell for them right away and was left sighing at the end. Yes, they were one of the best parts of the book. I wish I could have known them. And the Coach. He’s pretty wonderful, too. Alex was a brilliant idea. 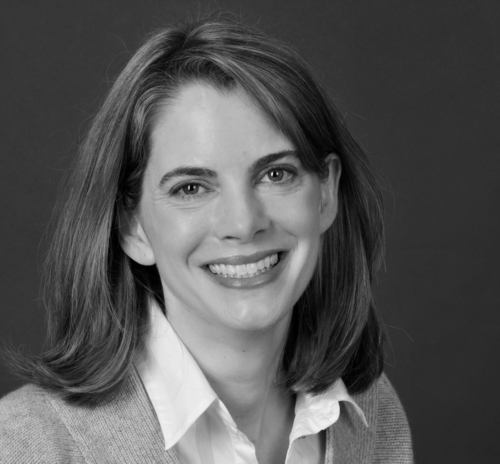 A famous author who befriends Sam? I really liked how they talked about character development and such. It was quite fun watching her get to know him, from the first feelings of awe in to a friendship… Into something deeper, which I really actually didn’t catch for a looonnnggg time. Which is weird for me. *Some of the stuff Sam dealt with didn’t really need to be there, although the underlying message was good (relating to Sam and her boyfriend, Josh). *There were several times she mentioned kissing… Which yeah, is just the way it is. *From what I can tell, Sam was going out with a guy at one time who was a Christian, and she wasn’t one. I’m not into dating, anyway, but especially not Christians with non-christians. *The ending. Yep, I didn’t like the ending. I knew from the beginning that the author was going to have a huge, hard job with making the ending work. The book was so good, so full of promise. I kept wondering how in the world anyone could pull off a satisfactorily ending. Really though, I wasn’t sure it was possible. Which might have been one of the reasons it didn’t work for me. When I think through it, there really wasn’t any other way for the book to end. Except maybe it could have gone a little longer, but I don’t even know how that would have worked. So yes, in the end was fine. Just not spectacular. And I didn’t figure it out until it almost happened, which left me surprised. I can normally figure out books really fast. *Some of the stuff Alex did. Wow. Sometimes he was such a dear. Other times he needed to be punched. *Sam as mentioned before, is not a Christian. This isn’t a problem, but it does mean she goes through some issues with her boyfriend (who is a jerk, just saying), trying to figure out what to do. I appreciated how the author handled the issues, although I’m sure some of it could have been left out. *There was a tad bit of violence mentioned (mainly that she was abused by her parents as a child). It isn’t graphic at all. And she has fear issues from a hold-up. *There were a couple of minor bad words used throughout the book, mostly by Kyle, the tough foster kid. There were some things I didn’t appreciate, you’ll want to use your own discretion while reading. Mostly though, it was great. I enjoyed the message behind the book and I thought the writing style was stunning. Even though it dealt with hard issues, I liked that it didn’t make me feel depressed, instead it was more hopeful. Even though the ending didn’t make me very happy, over all the book was amazing. And wonderful. And one of my favorite books I’ve read in a long time. Except for the end, I wanted to pretty much would have enjoyed re-reading the book. This sounds like a really really good book – might make my reading list! 😉 🙂 Good job with the review, as well. I really enjoyed your review of the book. I was almost intrigued enough to read it until I got to your “cons” list. A lot of the stuff you cited as reasons you didn't like the book resonated with me. I don't believe I would like it for the same reasons. You did a great job on the review though.